The increasing popularity of video chat software has got every single entrepreneur thinking about it. This software makes it much easier for every company to retain its customers providing a number of benefits which no other application can. Many customers feel disconnected from the companies they want to buy things from and this leads to extremely increased cart abandonment rates. Customers often feel confused and frustrated while transacting online and want to be able to talk to someone about their queries and get them solved. The video chat software lets agents achieve this easily. It helps them convert potential customers and also retain old customers for a longer time. Visual Communication: Most people tend to avoid calling the company and waiting for their issue to be resolved. One of the best things that the video chat application lets agents do is to communicate visually with all potential customers in real-time. 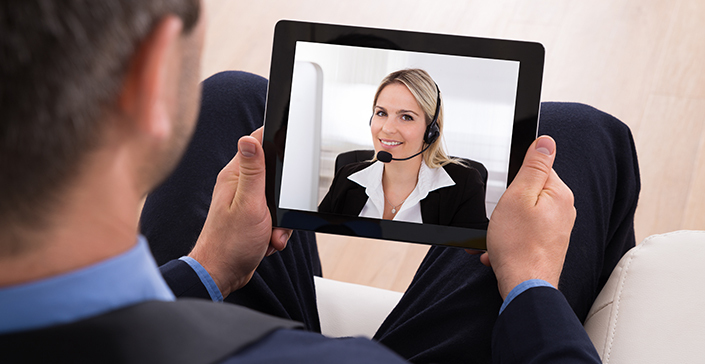 According to, The top 4 benefits of video chat, customers trust company agents more if they can speak to them face to face and share their problems with them in real-time, which significantly increases the quality of the conversation. Offers an instant communication option: Customers tend to abandoned the website because they don’t get to speak to the company agents or service centers, the moment they want to. Embedding a video chat option on the website results in better communication as customers can instantly speak to the agents or business development centers and get their doubts resolved quickly. It offers clarity: Often, while speaking on call, agents cannot get their point across to the customers and explain to them the exact issue. This leads to miscommunication and reduction in sales. Video chat software offers clarity and trust through which the agents can explain anything and everything to the customers and satisfy them in order to convert more sales. According to, Three trends shaping the future of customer service, video chat increases the likelihood of a consumer purchasing the product during video chat and urges him to leave great reviews of the product. Provides an in-store experience: The video chat software lets the agent speak to the customers according to their preferences. Customers receive instant solutions and a personal agent who provides them with all the latest and relevant offers for them and also helps them in completing complex transaction procedures from right where they are sitting. This provides the customers with an in-store experience for which he does not have to even visit the store anymore. Stores essential customer data: The smart application helps agents in storing essential customer data whenever they visit for the first time. This lets the agents be aware of the customers’ preferences whenever he visits next. This way the customers don’t have to provide their personal information and preferences every time they visit the company website and can actually talk to any agent directly in order to resolve their questions or gain knowledge on a completely different product.